Meditating in the morning is a great way to start your day and ground yourself! Starting the day with a period of morning meditation helps you point your day in the right direction. When we tune into our deeper intentions right upon awakening, we lay a foundation of mindfulness, awareness, and kindness from the beginning. Everyone is different, and you should find for yourself what the best time of morning to meditate is. Some people find it most beneficial to sit immediately upon awakening in the morning. I like to do this myself. Others may use some mindfulness exercises to help bring the practice to life during the day. You can try meditating in the morning before eating breakfast, looking at your phone, or doing anything else. By doing this, you can perhaps sit with a mind that is relatively uncluttered by the normal everyday chaos that we face. It can be hard to build this routine and change it up, but it is worth investigating. Another option is to do a morning meditation after you have your day started. You can eat breakfast, handle any quick tasks that need to be done, and then meditate. I sometimes do this myself, as our cats demand to be fed immediately upon my awakening or I have an email that is urgent. This may be more practical and sustainable for you. Maybe it isn’t, and you find the mind rather active and busy if you go this route. Whatever time you decide to sit and practice in the morning, be open to investigating what works for you. I’ve found that what works during one period of my life may not work forever. Sometimes I am able to wake up in the morning and sit right away. Other times I have life events happening and need to handle them before sitting. When we sit in the morning, we have the opportunity to create a habit. You may find a time that works for you, perhaps immediately upon getting out of bed. Maybe it’s after eating breakfast. You have to find what works for you. Try a few different times in the morning and see what feels right for you and your life. Try setting the intention of sitting every morning for a week. Even if it’s just five minutes, sit every morning for a week and see where it gets you. We have an incredible ability to build new habits, and we can make morning meditation a part of our daily ritual. Wake up in the morning and sit for a few minutes in practice. Although it may be difficult at first, it will get much easier as time goes on! Listen to our 5 minute guided morning meditation on mindfulness below and get your day started right! 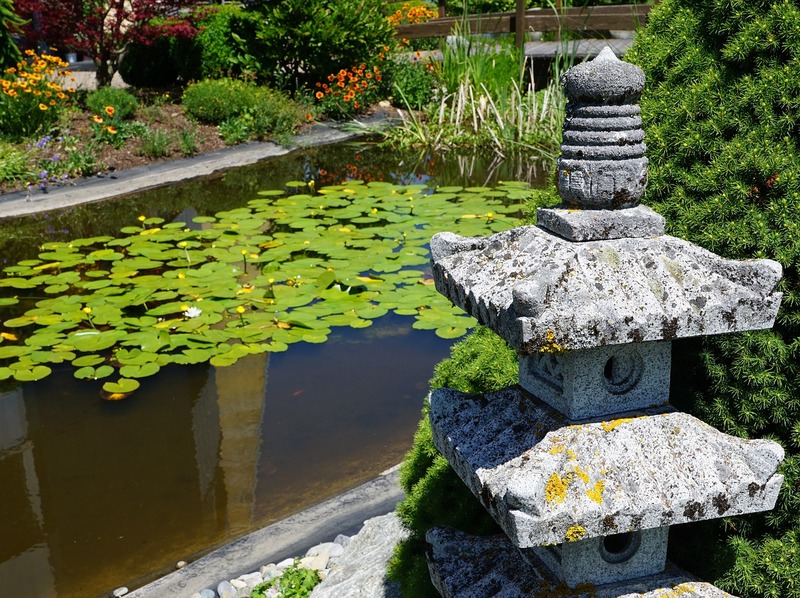 One Mind Dharma offers a community morning meditation on Monday, Wednesday, and Friday mornings in Petaluma, California. If you’re in Sonoma County, come join us! Check out our schedule on our home page to see the times of our morning meditations. All groups are donation-based and open to meditators of all experience levels! There are many benefits of meditation practice that have been researched and investigated. I’ve also found some benefits to morning meditation practice in my own life, seeing that sitting in the morning can really help me in many ways. Here are a few benefits I have noticed. This is perhaps the number one reason I love meditating in the morning. You can start your day off with mindfulness. Many of us wake up and go, jumping right into our daily lives. When you meditate to start your day, you allow yourself the opportunity to write a different story. This practice upon awakening can help you go through your day with more awareness, gentleness, and patience. Many people deal with morning anxiety, which is the experience of waking up in an anxious state. Meditating can help us to approach these experiences with more clarity, understanding, and compassion. When we wake up in an anxious state and meditate, we can take action to work with the anxiety rather than exacerbating it. Furthermore, meditation in the morning can help us approach anxiety and stress differently throughout our days. I find that when I sit at the beginning of the day, it turns on my mindful muscle. When thoughts are coming and going while I am trying to get things done, I am able to notice that they’re present but not buy into them. This helps me focus, get things done, and end up with more time to relax at the end of the day. When we start the day with meditation, we are working out this mental muscle, encouraging qualities of mindfulness and kindness to arise. Sometimes I find myself in a rather reactive mood, but this tends to not happen on the days which I meditate. Meditation can help give us that extra moment to pause before reacting, and instead respond with some wisdom. It may be subtle, but this extra moment of patience can save a lot of suffering for ourselves and those around us. Especially with regular meditation practice, we can build this ability during our days to pause before reacting. Finally, as mentioned at the beginning of this post, meditating in the morning can help us build a habit. You can find the best time for yourself, investigating what works in your experience. As you begin sitting in the mornings regularly, you’ll find it naturally becomes part of your morning ritual. For me, this happens in just a few days or a week. As we do something repeatedly, it becomes the norm and we tend toward it. Rather than the mind inclining toward anxiety or stress in the morning, it begins to incline to mindfulness, meditation, and compassion. 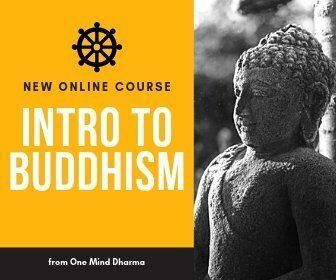 If you’re interested in meditating every morning for a week and seeing how it serves you, check out our free week of meditations at OneMindDharma.com/learn-to-meditate!